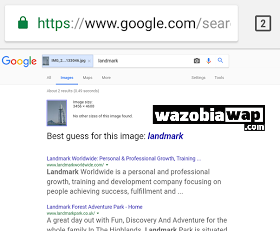 Google Reverse Image Search allows you to search on Google with Image or Picture instead of keywords. 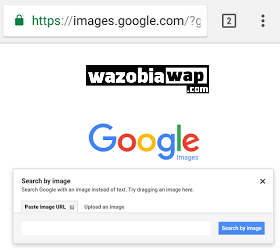 Upload a picture from your desktop, tablet or mobile phone, and Google will show all the other web pages on the Internet that have similar images. Reverse Search is useful for verifying the source of photographs, WhatsApp images, screenshots and memes. Tinder and Facebook users have used "Search by Image" to research profile pictures of their potential dates while travelers use it for finding the photo's location. 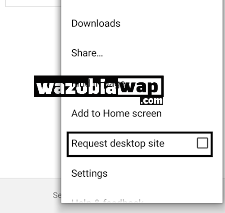 what is convenient for you without installing any applications. 4. Click on the image upload tab and choose your desire image to upload from your directory. 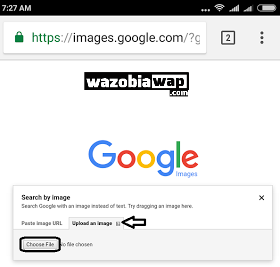 Once the image finish uploading, it will bring you the best search result. You don't need any app to perform this search. You can also Use Reverse Image Search on Facebook.